Microsoft Surface is a great piece of hardware that has a beautiful 2-in-1 form factor, great performance, and the most cutting-edge technologies. When it comes to storage option you will be limited to choose from some preset configurations that sometimes don’t fit your need. Fortunately, most Microsoft Surface models except the Surface Laptop are all comes with an SD or MicroSDXC card slot that you can use to expand your device’s storage. There are several things to consider when you’re choosing a MicroSD card for your device. MicroSD card’s capacity, speed, type, and price are the most important things you need to know about when it comes down to the final decision. According to the SD Association, here we have an overview of memory’s sequential write speed information for different speed class of MicroSD cards. There is also another standard that is being used for application performance classification. This standard will show you the random read and write performance as input/outputs per second (IOPS). You might want to know as well about what is the maximum MicroSD card’s capacity that your Surface can support. Here is the SD card capacity standard. Since all Microsoft Surface devices are using MicroSDXC host controllers, so your Surface technically can support MicroSD card with capacity up to 2TB. Learn more about Microsoft Surface specifications by downloading the Microsoft Surface RT User Guide. Now you have a better understanding of MicroSD Card’s speed and capacity standard. Here, we have round up the best MicroSD cards that are compatible and work well on Microsoft Surface. Available from 8GB to 400GB. Class 10 / UHS-I, speed up to 100 MB/s. 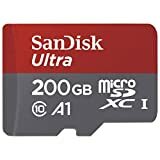 If you want a fairly big storage for your Surface, you can get this 200GB MicroSDXC card at an affordable price while it is on sale. The Sandisk MicroSDXC UHS-I card features a class 10 speed rating. It can support faster data transfer speed up to 100MB/s that is great for playing large videos. As the rated as A1 App Performance, it is able to run most apps and games without any slow down. This Sandisk MicroSDXC also has a great protection with waterproof, temperature proof, shockproof, X-ray proof and magnet proof. 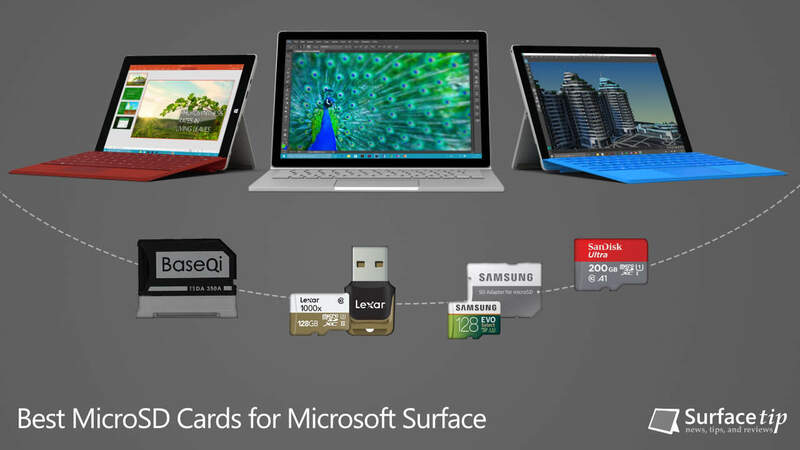 The faster MicroSD card for Microsoft Surface. Using the high-speed UHS-II (U3) technology. Transfer speed up to 150MB/s. Verified to be compatible with GoPro cameras. Can read can capture 4K UHD and 3D video. Included a MicroSD UHS-II reader for the best possible transfer speed. If you need the fastest expansion storage on your Microsoft surface devices, you can count on this Lexar Professional 1000x. It using the latest UHS-II/U3 technology that can deliver the fastest transfer speed up to 150MB/s. It will let you work on a big documents or projects file that need the high speed of both input and output. It’s verified to work great with GoPro cameras for capturing 4K UHD videos. Model 350A for 13.5″ Surface Book and Surface Book 2. If you are looking to expand the storage of your Surface Book and Surface Book 2, the only thing you can do is using the SD card slot. Since it is a full-sized SD card slot, you will need a full-sized SD card or SD card adapter. However the depth of the slot is about half length of the card, so it’s not a good idea to use the full-sized SD card as a permanent solution to expand the storage. 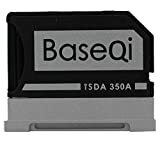 Fortunately, there is a MicroSD Adapter made by BASEQI that is firm and nicely fit the Microsoft Surface Book card slot without sticking out. With that said, you can now use any microSD card to expand storage on your Surface Book. It has the same color and aluminum designed just like the Surface Book’s chassis. Those are the best MicroSD cards in terms of capacity, speed, and price. If you want the most affordable large MicroSD card, we recommend the Sandisk Ultra 200GB Micro SDXC UHS-I card or Samsung 128GB EVO UHS-3 MicroSD card. 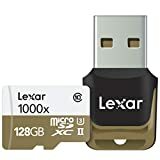 If the speed matter you the most the Lexar Professional microSDXC are what you should consider. Finally, if you have Microsoft Surface Book you will need additional special MicroSD adapter made specifically for Surface Book. We appreciate hearing your thoughts, questions, and ideas about “Best MicroSD Cards for Microsoft Surface of 2019”. Please post respectful comments and on topic. We will be replying back to you as soon as possible. Share your idea about "Best MicroSD Cards for Microsoft Surface of 2019".